Harvest is officially in full swing! We worked through the expected start up pains of getting the new machine and new equipment dialed in, plus some extra excitement cleaning up issues left over from the cyclone. After having a chance to further survey the farm, we count ourselves lucky that the storm didn’t cause worse damage. In addition to the usual beginning of harvest fun, we’ve actually enjoyed a few new problems this year. The conveyor belt leading to the kilns got overloaded with too much weight of hops, because the changes we’ve made to the picker allow us to pick so cleanly, gently, and quickly that our old conveyor couldn’t quite handle it. Those are the kind of problems we love finding solutions to! We're pleased with the new picking systems and processes we’ve implemented and are definitely enjoying the ease with which we can fill the kilns with clean cones. We think the biggest win from these improvements is that it's created flexibility for us to pick varietals when we believe they're perfect, rather than being restricted by our capacity limitations. This season’s hot+dry followed by cool+wet weather continues to produce surprising results. We’ve been harvesting for a week now and are pleased with how everything is rubbing. It's interesting to see the significant variation between varietals and blocks as they mature, and we've been adjusting our harvest timing this season to achieve the aromas and flavours we're after. So far we've picked all the Pacifica, and are now selectively working our way through the NZ Cascade, Motueka, and Wakatu, as we think each block is ready and hitting our flavour and aroma goals. I'm confident that if we get our timing and processes right our amazing terroir will give us results we'll love. This season is really confirming to us the value of systematically gathering rubbing impressions from the blocks, as we've found that frequently a varietal will appear ready to go by by all other measures, but show a trend of gradually increasing aroma intensity that indicates it's not quite there yet. I'm heading back to the kiln shed to keep obsessing over our harvest decisions with Richard and Sean (so much quantitative and qualitative data to consider!). We’ve got a great crew in the field, and at the picking shed, and we're excited to keep chasing perfection. I'm looking forward to more days of walking into the kiln shed and being greeted with a blast wave of tropical fruit aromas. That never gets old! A couple of days ago, cyclone Gita hit central New Zealand, (right where we are located), bringing with it high winds and 118mm (4.7in) of rain in 24 hours. Although we do enjoy a good challenge, we prefer it to come in a less terrifying format. As luck would have it, the cyclone didn’t cause any major damage to the farm or significantly impact this year’s crop. Completed not a moment too soon, the significant investment in improving water management and upgrading our canopy over the last year, massively paid off yesterday. I owe the guys more than a few beers for their monumental efforts to make repairs and keep up with harvest preparations. 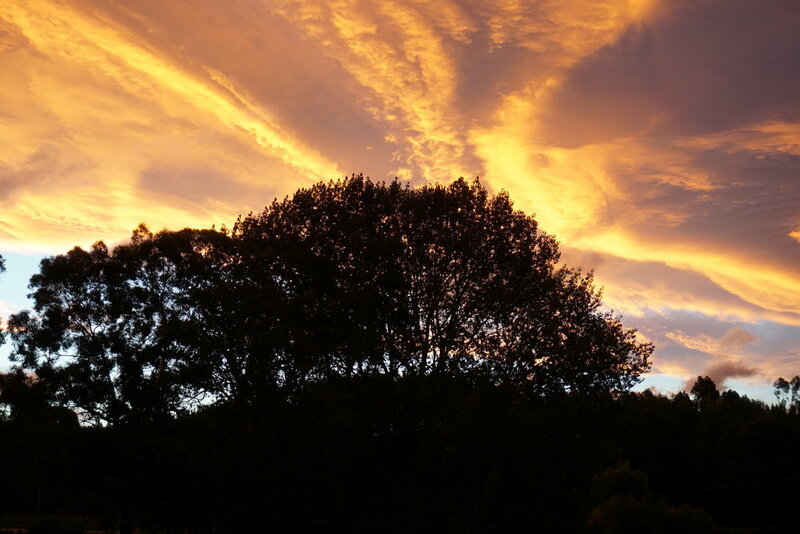 Below is a link to photos from around the farm the morning after Cyclone Gita hit. We’ve been busy tidying up the last little bits and pieces around the farm today, and plan to be ready to start the 2018 Harvest bright and early tomorrow morning. We'll pick the Pacifica and then pause for a few days, as we wait for the Motueka and Cascade to reach the maturity level we're after. Everyone is ready and excited, and we are looking forward to a great harvest! Harvest is fast approaching and the plants are looking great! Despite the abnormal weather, the hops are growing well and it looks like it’s going to be a great year. It has been a strange season, challenging us to draw on all our experience, expertise, and creativity, to get the best crop possible. The season started hot and dry in the spring, and continued this way right through mid-summer. We were then hit by a series of tropical storms, and over the last month we've had heaps of rain. The plants have responded to these conditions in different ways, with some absolutely thriving, and others fairing less well. As expected, the first and second year plants did not enjoy the hot and dry conditions, but have done well and we are pleased with the way they are looking now. One of the ways that we have responded to the unusual climatic conditions, is to optimize fertilizer timing prior to hot days to help give the plants a boost when they are going to be stressed (as happens on a hot day), and at other times applying a fish emulsion throughout the farm in addition to our regular fertilizer regime. We're on track to have the hottest growing season, measured by growing degree days, in the last 25+ years. In addition (see the graphs below), we were on track to have the driest season in the last 25+ years, however a pair of tropical cyclones getting pushed south suddenly put an end to that. We expect these types of extreme weather events to be the new 'normal' of farming in an age of climate change. This expectation is part of what drives our focus on systems and technology that allow us to monitor the crop more closely and adjust more quickly to what mother nature throws at us. 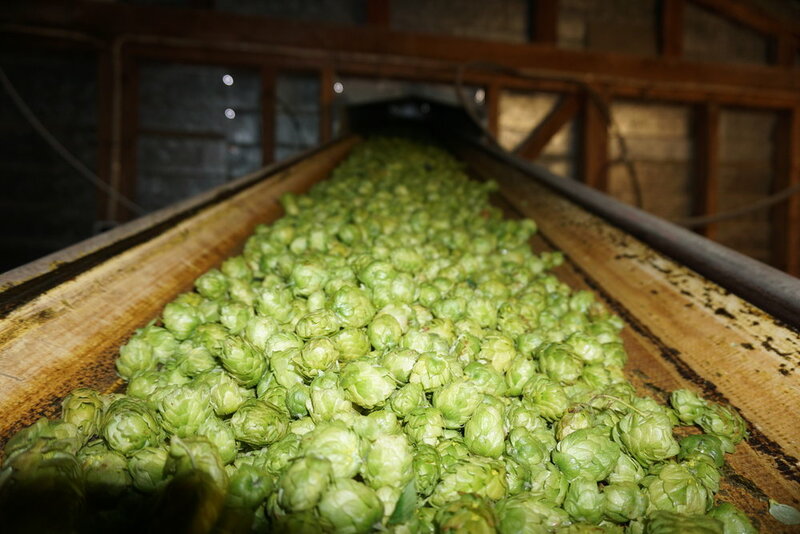 To consistently produce hops with the flavour and aroma we all expect will likely require a level of farming precision and speed that wasn't possible 10 years ago. Luckily for us, solutions are rapidly catching up with the challenges we face. We'll never be able to escape the risks of extreme weather damage from hail or wind, but we can be prepared for extreme seasons like this year or last year. Last season we felt that we were just beginning to explore the effects of weather, erroir on the farm, and harvest timing, seeing some interesting results. This season we are eager to further explore how these factors affect flavour and aroma. 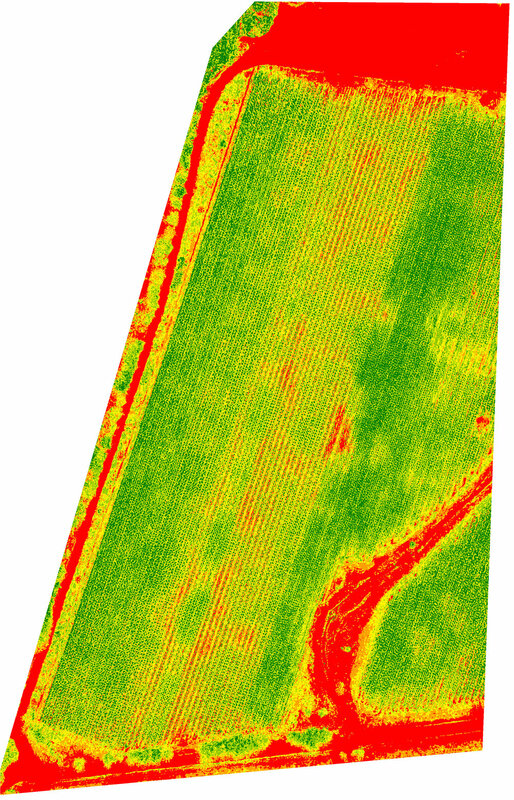 Something new this season is our drone crop analysis program, which has helped us to begin staying on top of what is happening with the crop in real time. The imagery this season has been really exciting, giving us a completely different perspective, and is already providing valuable data that we can act on right away. We were immediately able to identify spots on the farm where irrigation was not working properly, something that previously would have been nearly impossible to figure out in a timely manner. 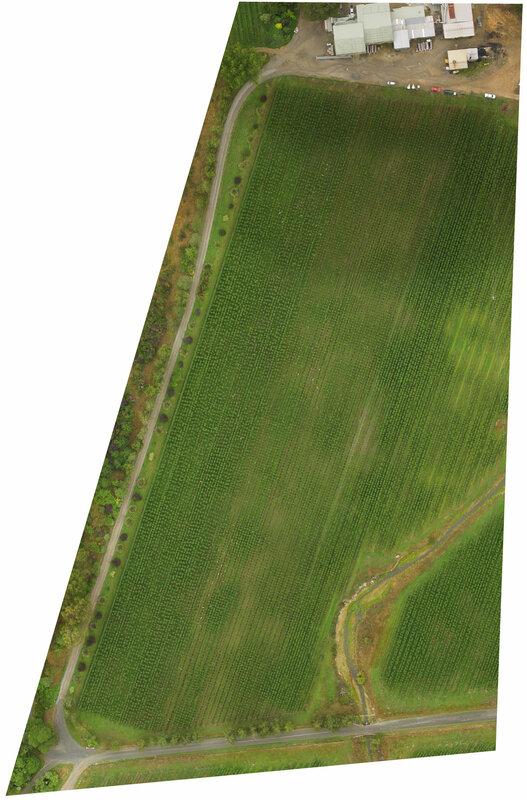 The photos below include some imagery from the drone (the lighter green circular patterns in this block were resolved by fixing the irrigation) as well as photos from around the farm so you can see how everything looks. We are currently forecasting that we’ll start harvest in 2-3 weeks, depending on how the dry matter testing results come out and how the crop is smelling/tasting/looking. It’s beautiful and sunny, with some rain coming in the week and we can’t wait to get started! We've been very pleasantly astonished by how many folks are making the journey out to the farm for harvest this year and are truly excited about the opportunities for us to find new insights about the hops together. We're very much looking forward to it. Spring has sprung at Freestyle Farms. Finally!!! We’ve had a winter of rain followed by more rain and are eagerly embracing the sunshine that started a little over a week ago and hasn’t let up since! 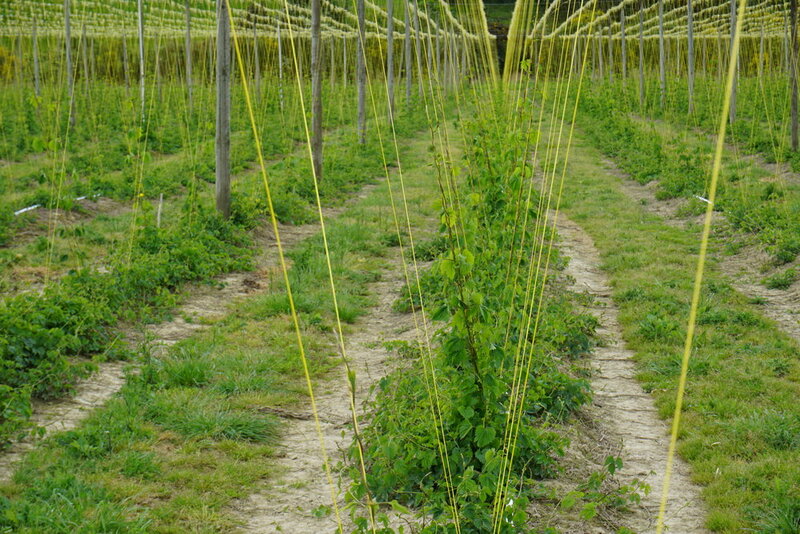 We began training the bines onto the strings last week, and in some of the gardens the hops are already racing their way to the wires. With our new found sunny days, we’ve pounced on the opportunity to get the nursery plants in the ground, finish up gardens, install fertigation, and work on other construction projects we’ve been preparing for throughout the winter. We’ve got crews working hard all over the farm and it’s exciting to see things coming together. We’re particularly thrilled to be getting our fertigation systems set up in more gardens this year since we had such success with the hops in the fertigated gardens last harvest. Our nursery plants going in the ground are looking healthier and more robust than we were expecting. It’s a visual confirmation of the farming aphorism that there’s no fertilizer more potent than careful attention. We truly love and appreciate all the feedback and criticisms we’ve received on the pellets from our new pellet plant. The heavy lifting to make the pellets was done by Jeff Soal, who joined our team to run the processing operations. Jeff was previously the award winning chef at The Urban in Nelson, and he was rapt to hear that his countless hours researching, rubbing hops, smelling them, testing and tinkering, met with approval. Jeff is looking forward to chasing perfection with this coming years lots (and avoiding heat and oxidation like the plague). Based on your feedback, the pellet bulk density of 31 lbs per cubic foot is what we plan to stick with for the coming year. One of our construction projects has been installing a load cell in one of our kilns to more precisely control fan speed and heat of drying. If this seasons test works and we get real improvements in quality and consistency, we'll look to roll that out to all of our kilns before the 2019 harvest. We're also mid-process in adding a third cleaning line and other super-secret modifications to our picker with the goal of continuing to improve the gentleness and cleanliness of our picking. I'll have more on that in a future update. Winter has set in at Freestyle Farms, there is snow on the surrounding mountains, and we are deep into our off season construction projects. We are adding a venting system to the kiln shed to increase efficiency and improve quality, by reducing humidity above the drying hops. This should allow the hops to dry faster at lower temperatures and further reduce any potential stewing effect. We're building out the final section of garden on the property, up near the dam, further increasing the acreage we will have planted this coming season. Our new pellet plant arrived and was commissioned last week. We’ve been packaging the first test runs off the pellet plant with a completely manual packaging line that we plan to ultimately use for mini-bales and experimental stuff. 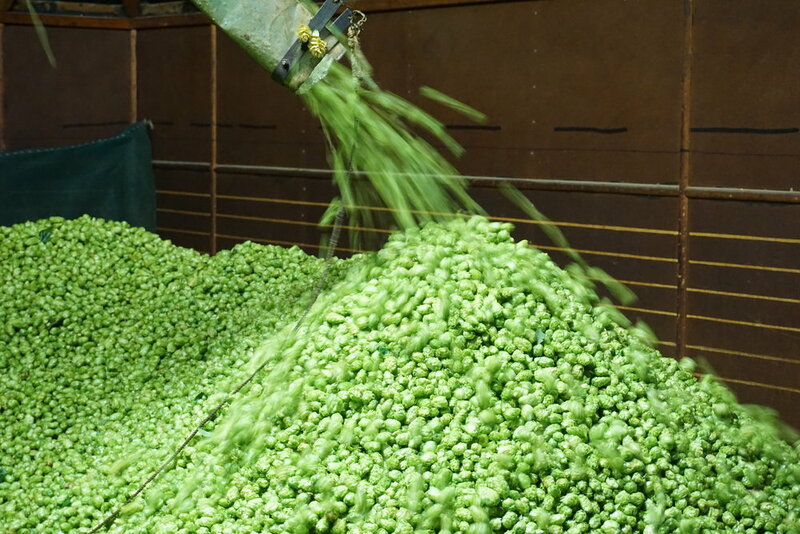 We're really excited by the quality of hop pellets we can produce already and are now working methodically through the process of getting it really dialed in! I've included a few photos of the initial pellet runs. We're hoping to have pellet samples (NZ Cascade and Motueka) from these initial runs landing in Long Beach in the next 6 weeks and will get them out for feedback ASAP. Our fully automated production packaging line will arrive in a couple of months, and we'll do another pellet plant run with that later in the year. We’re really pleased with the Nelson Sauvin and Southern Cross we’ve got in our nursery that will go into the ground this spring. The plants look healthy and big, with well-developed root systems. This seaso, we will continue to expand our fertigated acrg and experiment with nutrient regimes aimed at maximizing flavour and aroma. W'e laying the groundwork to do some interesting research ver the next few years n amplifying the flavours and aromas that are characteristic to our unique terroir. Temperatures have been dropping in the last weeks, with some good hard frosts, just what the plants need to perform well in spring! Below are some photos of the venting system being installed, the ew arden being built out, and of the pellet plant commissioning. Harvest is complete down here at Freestyle Farms; the last of the bines have been cut down, the final kilns dropped, and the tractors are sitting quietly in the yard. As I reflect on this year’s harvest, and look ahead to next year, I’m encouraged by many of the things we saw, and excited by the insights we have gained from this season. We’ve begun sorting through the data, looking for areas for improvement, and are pleased with the results. We set quality targets across a wide array of measures, including drying temps, bale density, and leaf/stem percentage, and we achieved our targets across all areas we had control over this season, gaining valuable insights to help us further improve for next season. We’re also pleased with the results of other experimentation we did on the farm, including fertigation, and identification of sources of off aromas. These findings are key components to achieving our quality targets and will be invaluable going forward. Looking ahead, we’ve already started the planning process for this spring’s plantings; we’ll be adding more of some varietals and relocating others to better take advantage of the terroir throughout the farm. 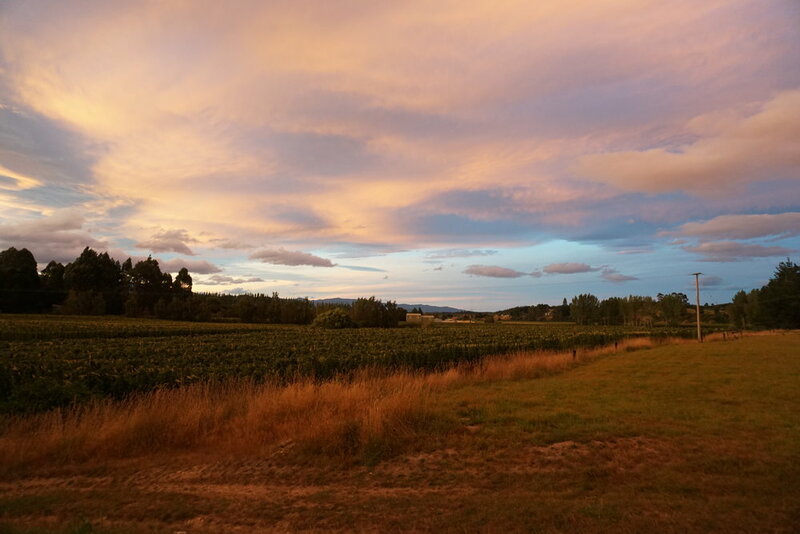 Generally, we'll be adding more Motueka, Nelson Sauvin and Southern Cross, but we'll also be switching a few varietals into blocks with soil conditions that will allow them to thrive and reach their full potential. For example, we're moving Motueka from the heavier, wetter soils in block 9 to the lighter, free-draining soils of block 10 where we expect it to perform much better. The summary data is shown below, with column definitions and a few explanatory notes showing how we fared versus our long term goals for these quality metrics, and our strategy going forward. Avg. Kiln Temp (F): Our goal is to be between 125F - 130F, where we’re achieving reasonable drying times, at the lowest temps possible, to retain as much of the volatile aromatic compounds we love. The super low temps are from quarter-filled kilns, where we only run the bare minimum needed to dry. We’re pleased with this year’s results and don’t expect to make any significant changes for next year. We’ll likely experiment with load cells to control fan speeds more precisely on one or two kilns next year. Our highest temp (140F) this year is a standard temp across much of the rest of the world, and our averages were right where we’d like to see them. Column Definition: The average kiln drying temp for each varietal and the max/min/std. dev. for every kiln run this season. Avg. Kiln Time (hrs): These largely reflect the dynamics of the temps and fan speeds we run, interplaying with individual varietal differences in cone structure, and cone size; these results were all good. Column Definition: The average kiln drying time for each varietal and the max/min/std. dev. for every kiln run this season. Avg. Kiln Depth (cm): We were easily able to achieve our target kiln depths, while still being able to dry the volume of hops that we needed to. We load kilns to a max depth of 75 cm. With some varietals or on some days (due to weather conditions), we load slightly lower kiln depths to speed the drying times without altering temps or affecting quality. We think 75 cm or lower represents a depth that minimizes inconsistencies in drying and any stewing effect. Column Definition: The depth (in cm) the kilns are loaded with hops. Avg. Dry Matter (%): This is an important quality measure, and given the highly variable humidity conditions we experienced this season, including a few extremely wet, humid days, we’re pleased with the results. The target set by our lessee of 10% was achieved, however next year we aim to reduce this very slightly to a target of 9.5%, which we think is close to optimal for maximizing preservation of volatile aromatics and minimizing cone shatter. Column Definition: The percent dry matter for each varietal. Avg. Bale Weight (kg): We were pleased with the performance of our new machine throughout the season, proving that it can consistently produce bales at precise weights. Next year we will aim to have every bale coming in at 115 kg’s (a density of ~130 kg/m3 or ~8 lbs/ft3). Research has shown this to be a level that results in virtually no bursting of lupulin glands, and our testing this year left us confident it’s a good density. The averages shown above get thrown off a bit by half and 3/4 bales at the end of runs. Additionally, halfway through the season the co-op asked us to raise our bale weights since they were coming in too light for their taste; we reluctantly complied. Column Definition: The average weight of bales in kg’s. Picking Window (days): Our goal is to compress the picking window for all varietals to 8-9 days, assuming the blocks continue to achieve maturity with similar timing to what we’ve seen over the last two years. This is a critical piece of the aroma puzzle and we’ll continue to put an outsized effort into harvest timing. Next season we’ll hugely decrease the window for Motueka, and shrink the Nelson Sauvin window as well. Picking times and windows were dictated by our lessee this season, not any physical constraints, so this will be entirely achievable. Column Definition: The days from when we start picking a varietal to finishing it. Alpha/Beta/HSI: These are the standard industry measures and we were pleased with our HSI this season. As long as we’re getting the aromas we’re looking for we generally aren’t too concerned with the alpha and beta numbers (assuming they aren’t wildly divergent from expected). Column Definition: The average alpha acids, beta acids and hop storage index. Overall, the results from the season have been great, despite the fact that it was a tough growing season. We had a good harvest, and feel we’ve gained valuable insights to help us improve next year. 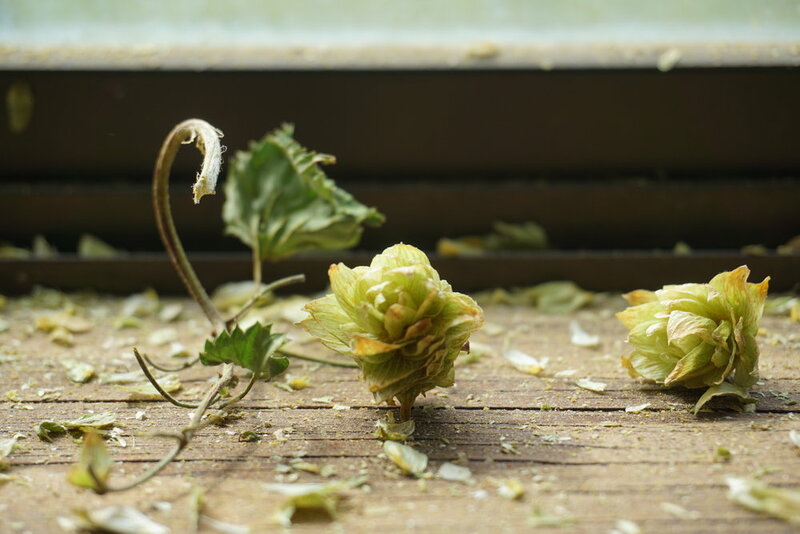 We’ll continue to pursue our goal of growing extraordinary hops through experimentation and further refining our processes, while we continue to chase improvement in quality, aroma, and flavor of the hops. We've entered the home stretch at Freestyle Farms. 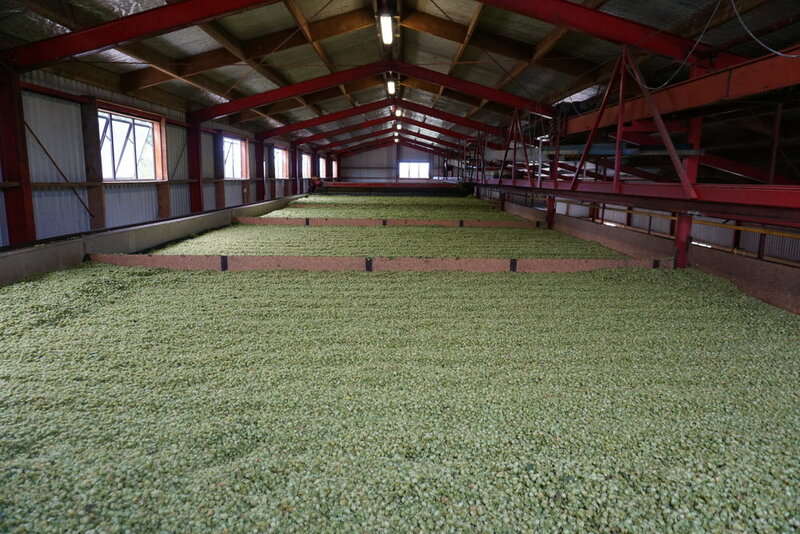 We've just finished harvesting Nelson Sauvin and are quickly moving on to Pacific Jade and Green Bullet. I'm expecting the last day of harvest this season to be on Wednesday 29-Mar (depending on the intensity of this weekends forecast rain). The whole team is getting pretty beat by this point (including me), but when I reflect on what we've accomplished this season and the results of harvest so far, I'm left truly excited and already looking forward to next year. This last week, the picker continued to charge through the Nelson Sauvin, while hitting the 1% or lower leaf and stem numbers we're looking for. After this week we feel that we've well and truly confirmed our suspicion that picking Nelson earlier rather than later is critical, and that brown, damaged cones should be avoided like the plague. We continue to be pleased with the results of the fertigation on the Rakau blocks we just harvested and really like the aromas there. More data on that experiment is coming soon! This season has continued to be unusually cold and wet as you can see from the updated cumulative degree days chart below and unsurprisingly production across NZ has been impacted. Based on what we're seeing right now it looks like production will be down 10% to 20% on last years numbers. Considering the historically low degree days and series of storms we've received that's a pretty good result for all NZ growers after last years excellent season. Below are a few photos that follow the harvest processes on the farm from a better than average day earlier in the week. 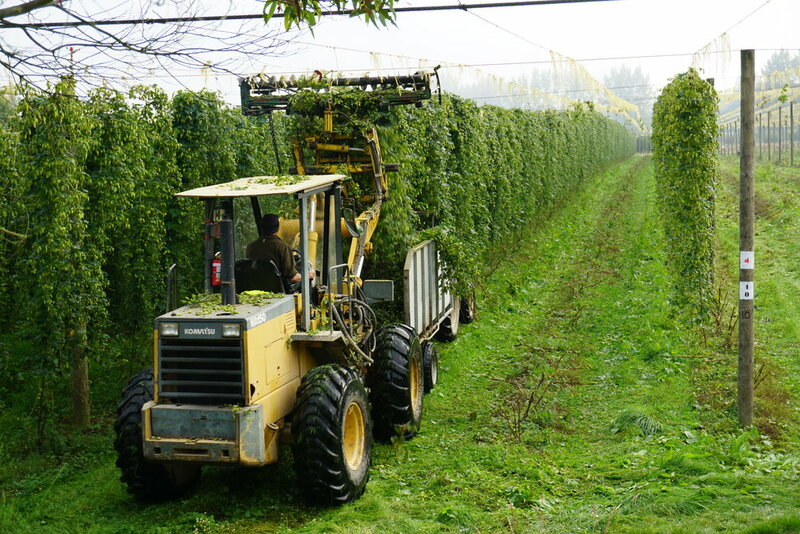 We are now deep in the heart of the hop harvest at Freestyle Farms. We began harvesting Nelson Sauvin yesterday and the modifications to the picker are working exactly as we hoped (yay!). We now have our harvest processes dialed in, and the speeds of the picker and cleaning lines are tuned to each varietal and for differing weather conditions. The Nelson is picking cleanly at normal machine speeds and smells amazing! Kilned hop moisture is consistently coming out between 9.5% and 10% and the new baler continues to perform flawlessly, churning out perfectly consistent bales. Data is pouring in from our two big fertigation trials (Wakatu in Block 18 and Rakau in Blocks TS/TN) and the results have been fantastic. The fertigated Wakatu has produced ~35% more cones by weight, and came in at 8.5% alpha acid vs 7.1% alpha acid for the non-fert. side of the block. Our qualitative assessment of the aroma is that the fertigated side had slightly stronger and more pleasant lime/mojito aromas. The Rakau trial will be harvested soon, but as of right now the fertigated side visually looks much healthier and denser, with a nicer cone structure. The dry matter data strongly supports our qualitative assessment, with the non-fert. side having a 100 cone sample weight of 57.6 g vs 98.1 g for the fertigated side. Since neither side has reached maturity we will reserve final judgment for now, however our qualitative assessment and the feedback we have received from visiting brewers is that the fertigated side has much nicer aroma characteristics. 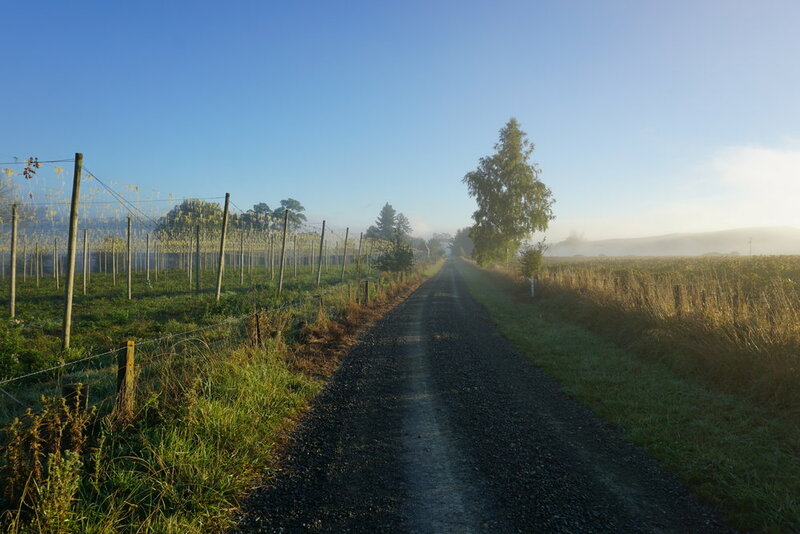 This season we have been on a quest to identify what leads to the intermittent off aromas that have been reported in past years Nelson Sauvin and Motueka pellets. After much study, we feel confident that we have found the major source of these off aromas and have developed a solution to avoid them going forward. We believe that a large portion of these undesirable aromas is coming from cones that are extremely oxidized, caused by being picked too late or wind damage or from plant health issues. All three of these seem to consistently result in the same garlic, diesel, sulfury, or generally bad aromas. Fortunately, all of these issues are easily identifiable visually and can be avoided by not harvesting bines exhibiting those characteristics in the future. We strongly believe that a small number of problematic bines are having an outsized effect on quality and consistency. Below are a few photos of the first of the Nelson in the kilns, checking the kiln moisture, double checking bale moisture, the baler in action, the Wakatu fertigation trial hops heading into the kiln, the Rakau fertigation trial block, and first year Nelson Sauvin in front of the mustard cover crop sown in block 26.